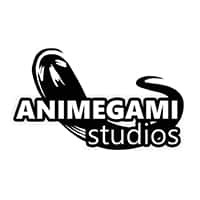 We are proud to announce our first brand expansion, Animegami Studios. 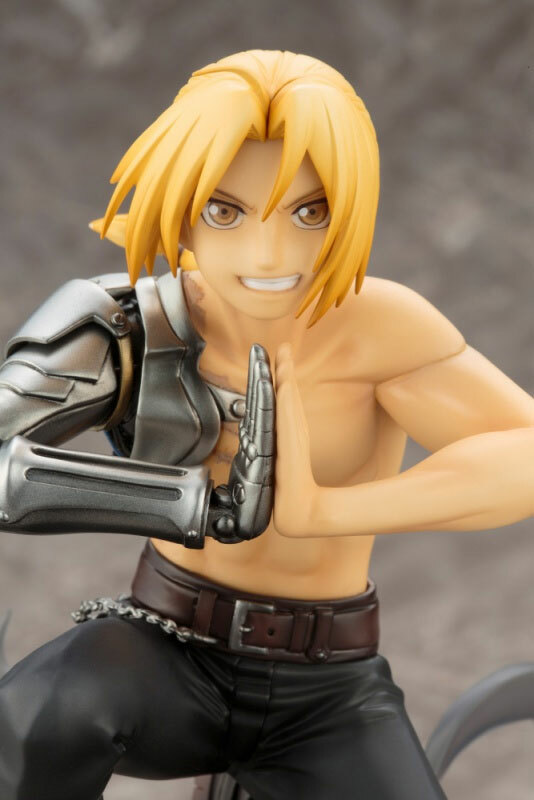 Animegami Studios will be Animegami’s creative branch, in charge of the production of PVC and Resin statues, merchandising and comics. This is an official trademark belonging to Animegami Ltd.
We are currently in the process of acquiring a handful of licenses that will be used to start producing and selling to the general public by the end of 2019. We will announce which licenses we have acquired as soon as they are confirmed. Our plan is to create original stories, filled with amazing characters that you can relate with. We want you, our community, to be a part of this experience. We’re aiming for high-quality writing and design. We’re currently working on our first Manga and we’ll provide you with more details in the upcoming months. This was highly requested by the community and we’re moving forward with some Shinigami merchandising! 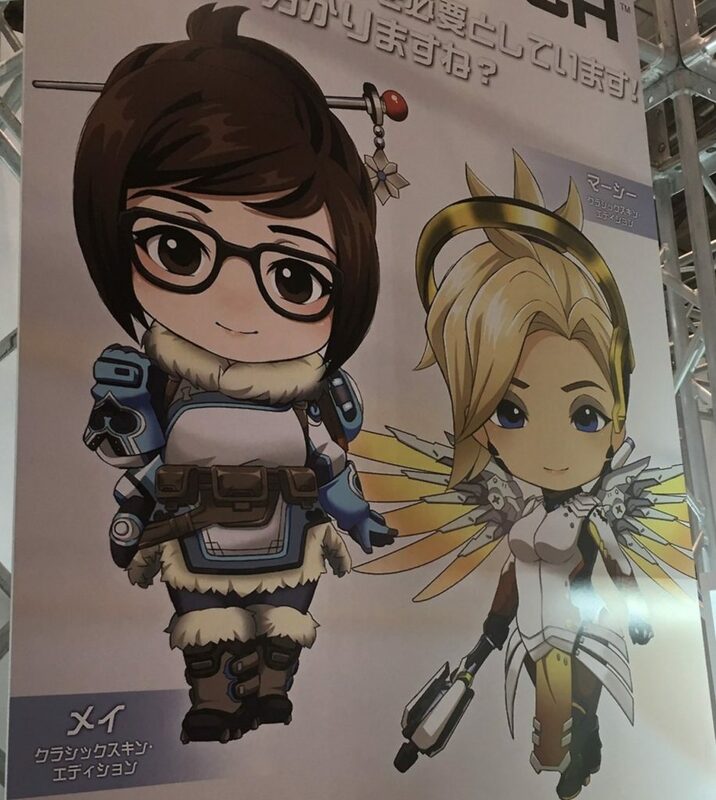 In the upcoming months, we’ll have the first products in the store. We’re currently working on the first designs and we’ll share it with you before going into production. Your feedback is critical to the success of our new brand! 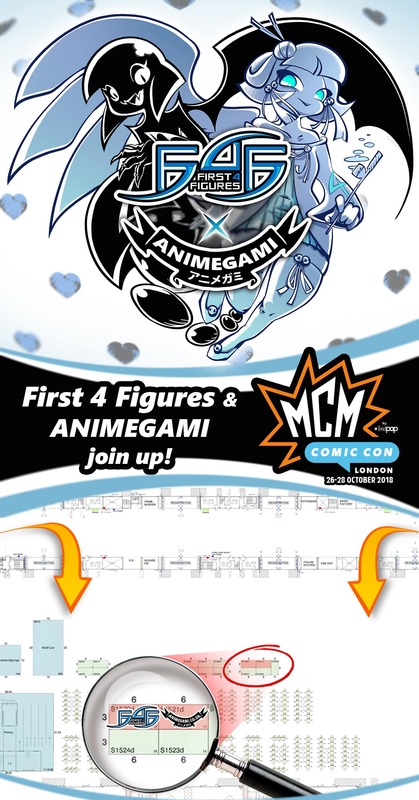 We here at Animegami are proud to announce our first official and direct partnership with First 4 Figures during the upcoming MCM London Comic Con this 26-28 October 2018. We’ve decided to rent out two booth spaces to form one super booth, and as such, we’ll be having our biggest selection of products yet in our history of attending conventions. 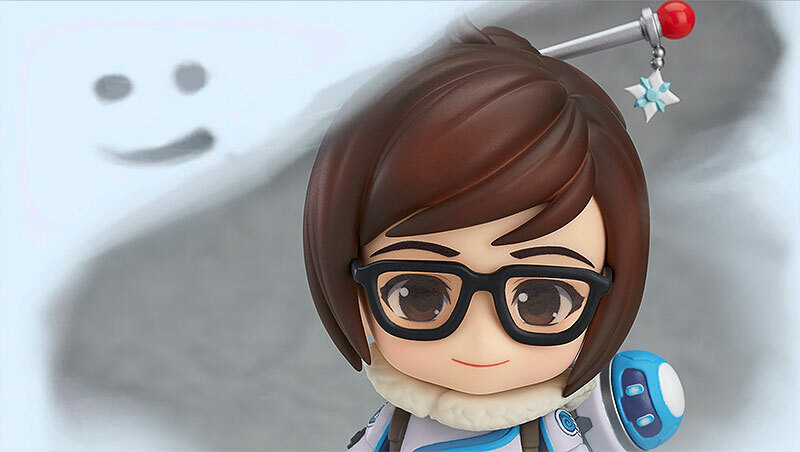 A section of this mega booth will be dedicated to First 4 Figures and their products, and although a few of their resin statues will be on display, their main focus will be to sell a limited amount of PVC statues at a special price. 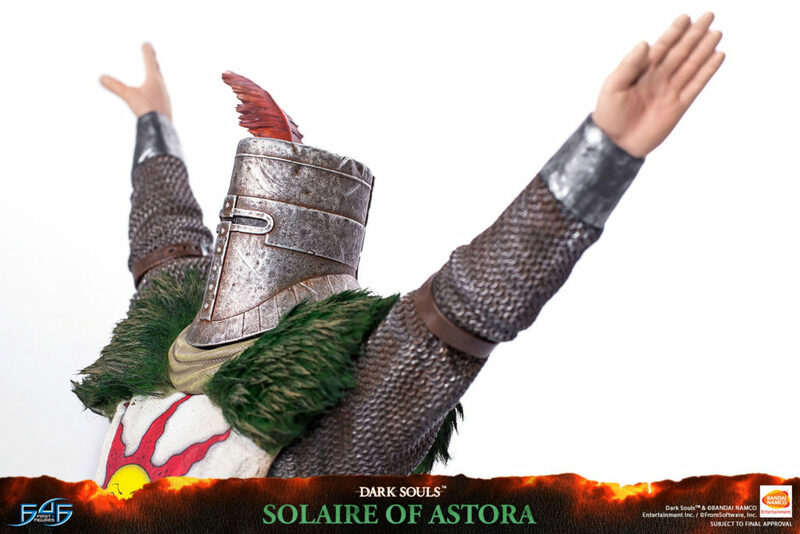 We are also happy to announce that First 4 Figures’ Tsoek “Chockles” Cheung will be present at the booth for the duration of the convention. This is a unique opportunity for everyone in attendance to meet and greet one of the faces of First 4 Figures. We are located at booths S1520d and S1521d. Please refer to our official banner above for the venue’s layout and how to find us. In stock products have 3 Different possibilities, that are displayed on each individual product page. In-Stock Next Day Delivery – This is when the product is in the UK and ready to ship, all this process has is packaging and padding of the product and picking a courier. As soon as the courier picks up the package a tracking code is automatically sent by us with the link to the customer’s email attached to the order. In-Stock 5-10 Days – This is when the product is in storage in our warehouse in Germany, the time that it takes is longer since the product needs to be packed and shipped on a pallet with several other products, passed onto a courier and delivered to the UK. As soon as it arrives in the UK it goes through all the steps of the Next day delivery, meaning it is picked from the pallet, packed and padded and passed onto the courier. When the courier sends over the tracking number, we will automatically email you with the link and code to track the order! On Request Products – This is a specific situation where we do not stock this item. When your order comes in we place an order with the manufacturer. This can take weeks or even months to arrive at our UK warehouse (it depends on each manufacturer and where they are based). Get in touch with us after placing your order, or even before, so that we are able to provide a more accurate time frame. Be aware that when you place an order on an item that is “On Request” we are unable to cancel the order. Reason being we place an order with the manufacturer as well and we cannot cancel this one. Pre-orders and their different payment methods! Once a Pre-order is purchased, you will receive an automatic email invoice for your order, with your order number. As you know Pre-orders are susceptible to changes in release dates, this happens quite commonly on some manufacturers. We offer a variety of payment methods on products, depending on their pricing. Monthly Payment Plans – This is only made on special request and needs to be on products whose value is higher than 500 Pounds. This also works somewhat like the deposit, being that we have to take a 20% of the value upfront, and then we will create orders with the divided full value monthly. We are excited to say that Animegami will be attending Hyper Japan from the 14th to 16th at Tobacco Dock London! We will be bringing quite a lot of statues and figures to display there and they will all be for sale! If you are attending be sure to drop by and give us a visit at our merchandise stand there!